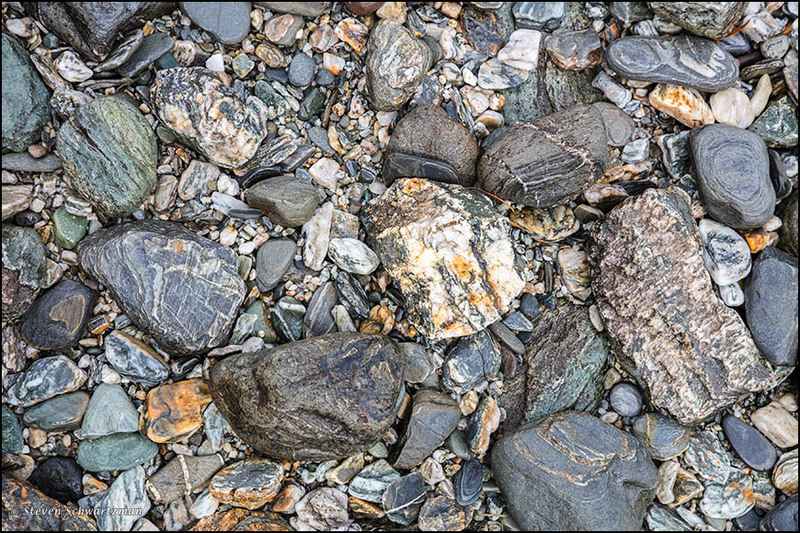 Anyone who had grown up in the southwestern quadrant of New Zealand’s South Island and had never traveled elsewhere could be forgiven for assuming that every other region in the world has patterned rocks lying around in abundance. If only it were so, say we from most other places. 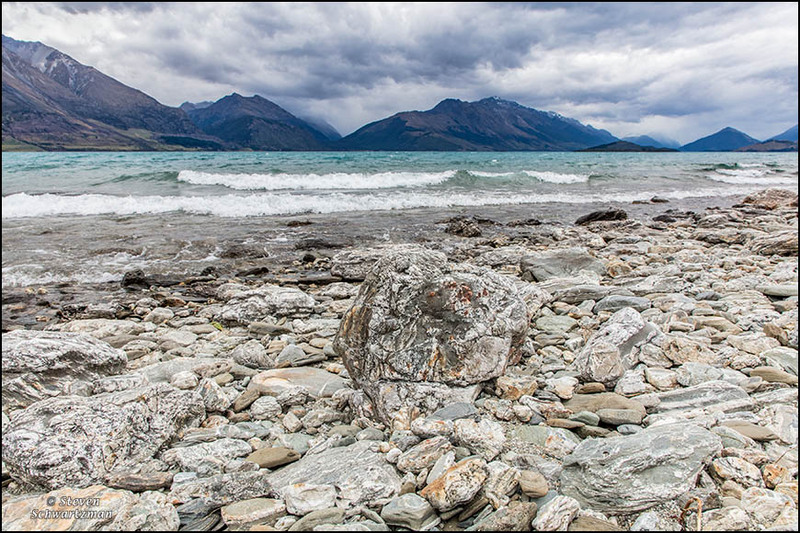 Above is another view from February 21st of Lake Wakatipu, this time emphasizing the rocks strewn along its shore. Below is a downward-looking closeup of a few.